Axial forming is a forming process where internal and external splines are pressed onto hol-low workpieces. By the recursive tool movement the most precise results can be achieved. Aximus is a modular and therefore very flexible machine design that simplifies adapting the technology to your requirements. The systems are perfectly configured by Felss experts for the respective production situation – this also applies if at a later date, crucial requirements such as quantities or the geometry of the part change. Aximus can be retrofitted at any point in time. The range of parts that can be produced with Aximus is extremely broad. Internal and external splines are produced on the systems – even simultaneously if necessary. Having short change-over times also means that small batch sizes can be manufactured economically. Highest precision is a feature of axial forming with Aximus. The reproducibility of the process is also optimum. Even large-volume production processes are completed with high process reliability. Plus: The hardening distortion during axial forming is minimal. 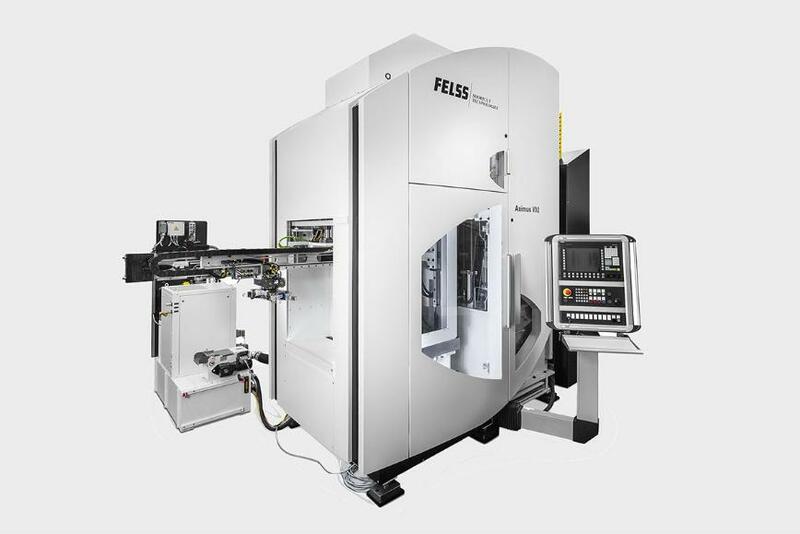 Felss produces the Aximus machines in both vertical and horizontal versions, both of which are extremely compact. They can also be easily integrated into existing automation solutions. The design of Aximus is completely modular – from the automation to the control cabinet “modular3”. Added to this are modern components such as the CNC control that is used. The result is an extremely sustainable system generation. When using the Aximus systems, users also benefit from a patented Felss innovation: the frequency modulation. Forming takes place during many small steps. The forming forces that occur are hereby reduced by approximately 40%. The innovative process can thereby be used with a series of new applications. Thin-walled hollow shafts and internal splines in blind holes can be produced in the same way as for instance large modules, gearbox shafts or external and internal splines in one clamping.